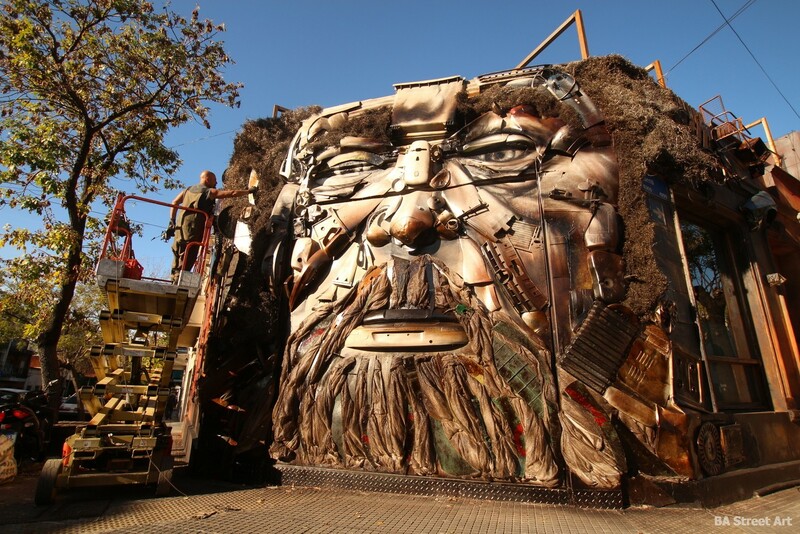 Alfredo Segatori has completed a spectacular new mural in Palermo made of recycled materials at a new bar in Palermo. Exclusive photos by Buenos Aires Street Art. 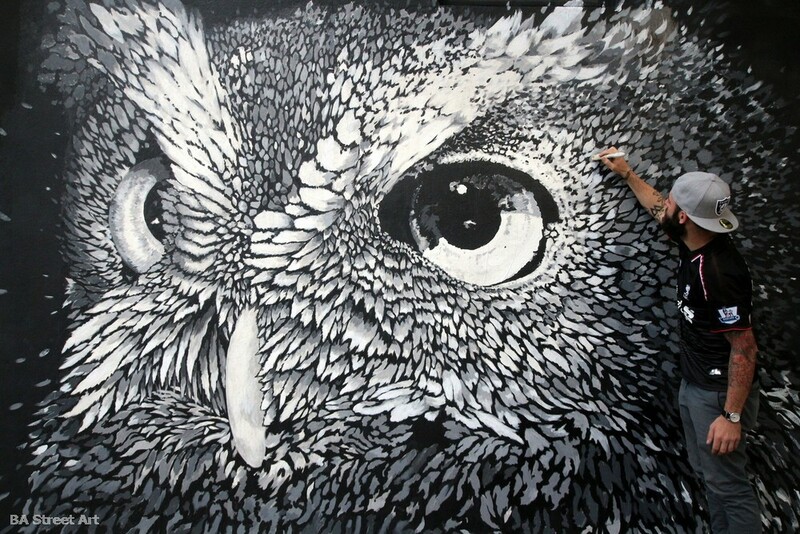 Paul Mericle was in Buenos Aires a few weeks ago and painted this stunning new mural of a Great-Horned owl in Coghlan. The project was organised and sponsored by Buenos Aires Street Art. Revista Alta June edition of the Aerolineas Argentinas magazine about BA Street Art and some of the mural projects we have organised with international street artists.